Our first night in San Diego we headed out for Mexican food, or at least a quesadilla, the only food our son will consistently eat. In kindergarten he composed a brief poem to the quesadilla, his favorite food, poorly spelled but nonetheless hauntingly evocative. 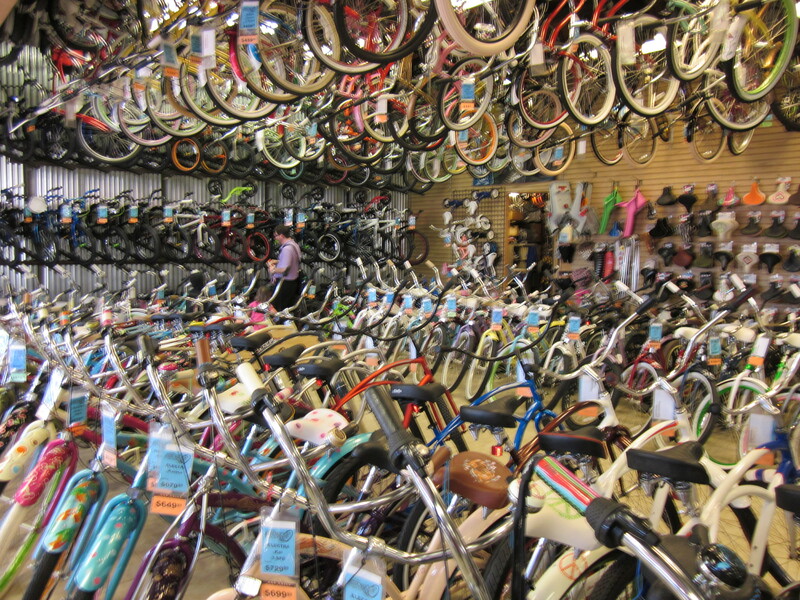 By complete happenstance, while walking there we stumbled into Bicycle Discovery, the beachiest bike shop in my personal experience, if not the world. What I noticed first, from outside, was the entire wall of bicycle baskets, the most extensive I’ve ever seen either in-person or online, and although we were all hungry I insisted we check it out. Once inside no one was disappointed. 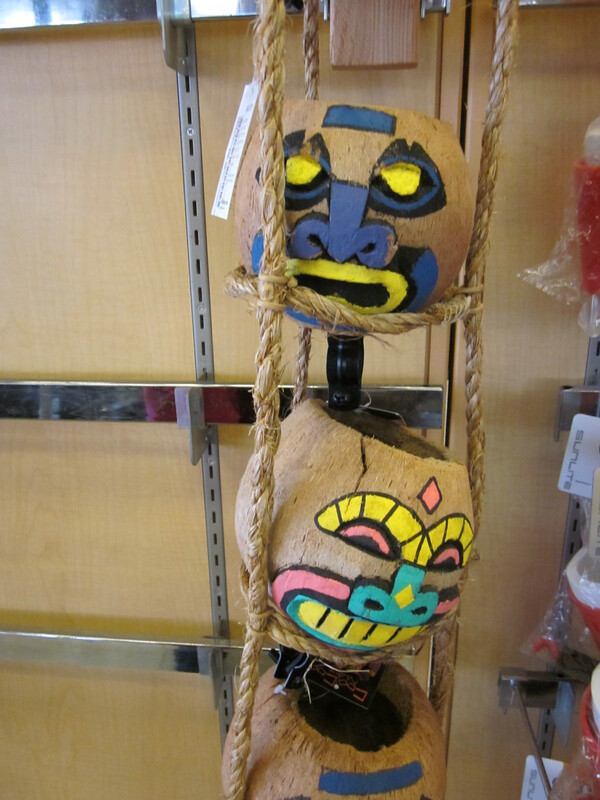 Matt had to forcibly rip himself away from the handlebar baskets carved from coconut shells to look like the drinks you get at tiki bars. 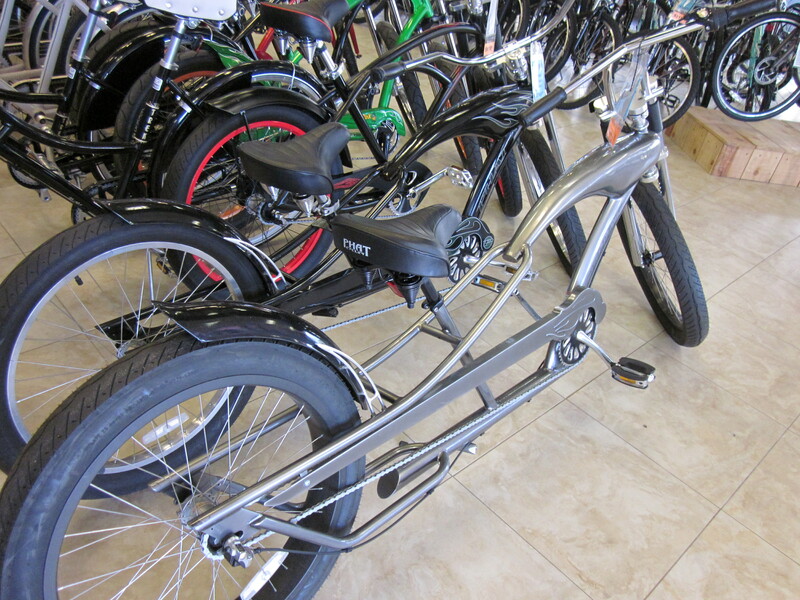 Both kids were fascinated by the chopper beach cruisers with handlebars taller than they were and four inch wide tires. One of these was a tandem! We bought our daughter’s dinosaur horn online but at this place we could have chosen from hundreds of models. 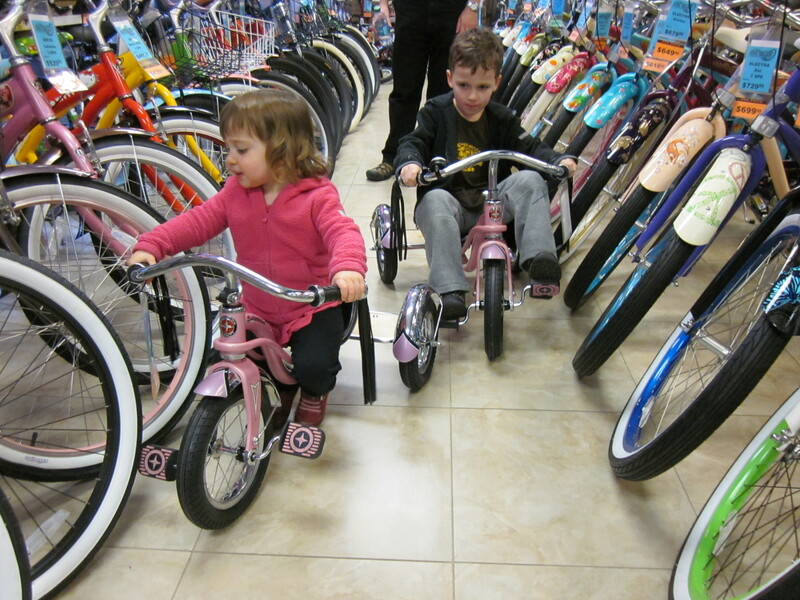 The kids rode balance bikes and tricycles in the store and investigated all the various baskets and panniers; luckily for us the staff was not just patient but indulgent. Our daughter was traumatized that she was not yet big enough to ride the bike covered with pink skulls. In keeping with the San Diego spirit this store was as big as a warehouse would be in San Francisco. I would guess that 90% of the bicycles on the floor were single-speed beach cruisers and most of them came in colors I’ve previously only seen on giant lollipops. San Diego proper is as flat as a griddle. While we were there the store was mobbed by a contingent of Danes (which we identified because they were speaking Danish). The Danes are coming to SoCal for bicycles now? Has it really come to this? We came back our second day to visit the beach and the kids did not need convincing to try out new rental bikes. 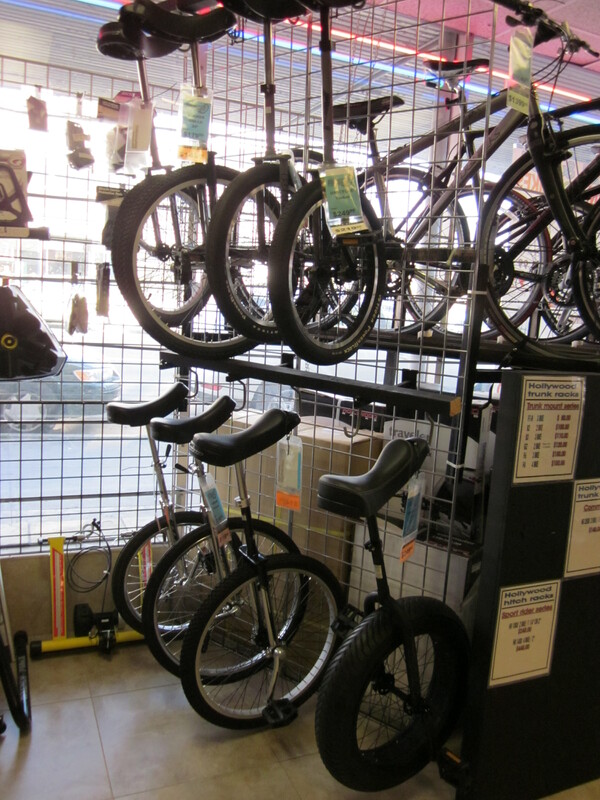 How can there be multiple models of unicycles? The store must do a land office family rental business, because they had multiple bikes set up with both child seats and trailer-bikes, and had them unlocked and ready to roll before our kids had made it out of the bathroom. I ended up with our daughter on a cruiser with a Co-Pilot Limo seat on the rack. Matt and our son ended up on a different cruiser attached to an Adams Trail-a-Bike. After complimenting our son extensively on his Bikefish t-shirt (“Bikes eating a car: RIGHT ON!”), they sent us off to ride along the beach. As one of them took our picture for the family, Matt commented drily, “Oh yes. Because no one would ever believe we rented bicycles if there weren’t photographic evidence.” Okay, maybe our biking habits are now more than two standard deviations from normal. I never imagined we could get to this point in less than a year. I have never seen as many forms of mobility as we saw on the beach of San Diego. Dog pulling two skateboarders, trail-a-bikes, elliptical bike, kid bike pulling skateboard, rollerblader with a stroller, segways, and those are just the ones I remember. A bike with a child seat like mine was no novelty by comparison, even with my daughter yelling, “Ta ta ta TAAAA!! !” in the back as we rode (useful, given that we had no bell on that bike and the beach walk was crowded). It was interesting to try riding such different bikes than we normally ride. Cruisers are about as simple as a bike can get, and they had big fat seats that were obviously designed for a cushy ride. Both of us found them uncomfortable. I asked our daughter what she thought of the Co-Pilot and she said she liked the Bobike Maxi better. I was actually surprised because I thought that Co-Pilot had a nice arm rest; she is too young to elaborate her reasoning. 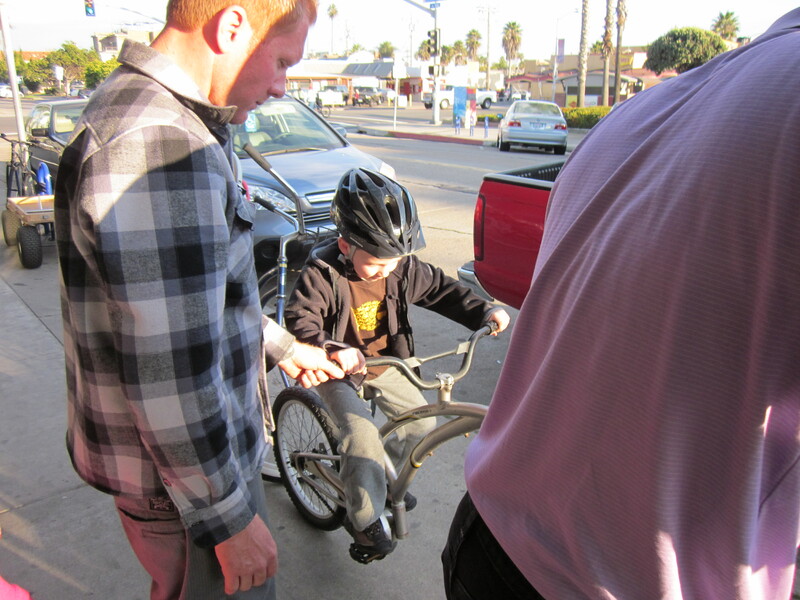 Our son enjoyed the chance to pedal on the trailer-bike, but he found it unstable. He now wants to try a real tandem, which he believes would be less floppy, and I suspect he is right. Matt is used to the MinUte and disliked both the length and the wobbliness of the trailer-bike, although he liked getting some help with pedaling. We both got off the rental bikes thankful we’d chosen to buy bikes better suited to us. But we learned a lot; we were correct in guessing that a trailer-bike wasn’t right for us, and we now know that our son would be eager to ride a tandem. It was a great way to spend an afternoon and we couldn’t be happier that we rented those bikes, unlike the surrey. The beach was packed with people enjoying the day. Sun, sand, waves, and mid-70s temps in the middle of January: it is no accident that we spent most of our time outside during our stay. Curse you, Southern California, and your seductive wiles. We wouldn’t have seen half of it walking or any of it driving, and six months ago we would never have considered renting bicycles on vacation with our kids. If someone had suggested it we would have dismissed the idea outright, expecting there was nothing available for them to ride. Now I feel as though family biking is something that was always there, waiting to be stumbled upon. We feel lucky now just to have been at the right place at the right time. What a great experience! It’s been the craziest thing for us to see that opening one tiny door has led to an entire universe we passed by before. I am sorry I haven’t taken the time until now to read these past four posts. I have missed out on all the fun. I hope you understand. I know, it was awesome! You’re very kind to read them all; no updates for a while, though, once I get on my (delayed) flight. I really enjoy reading them, I just need to set aside the time for the longer ones 🙂 I love peeping into bike families lives. Makes the loneliness sort of fade away. Look forward to more when you return. It is nice to read this post. 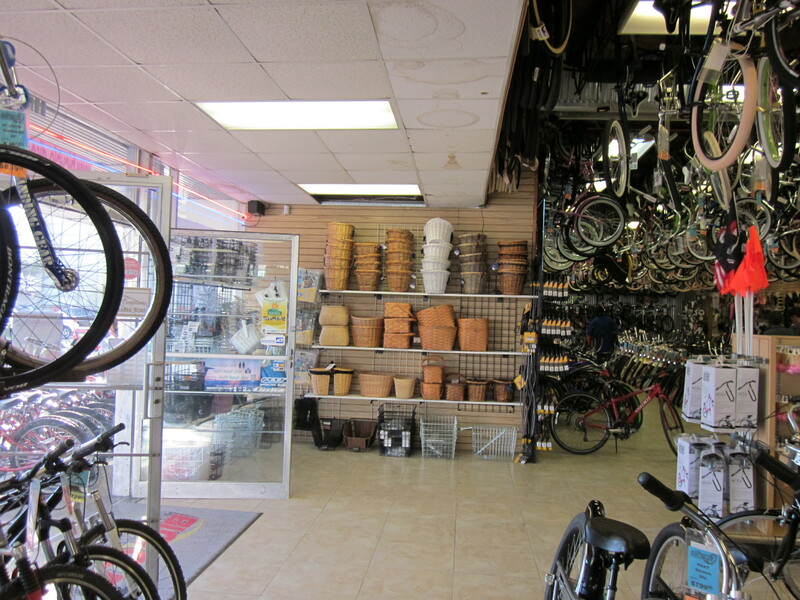 I enjoy visiting Bicycle Discovery bikeshop in Pacific Beach. 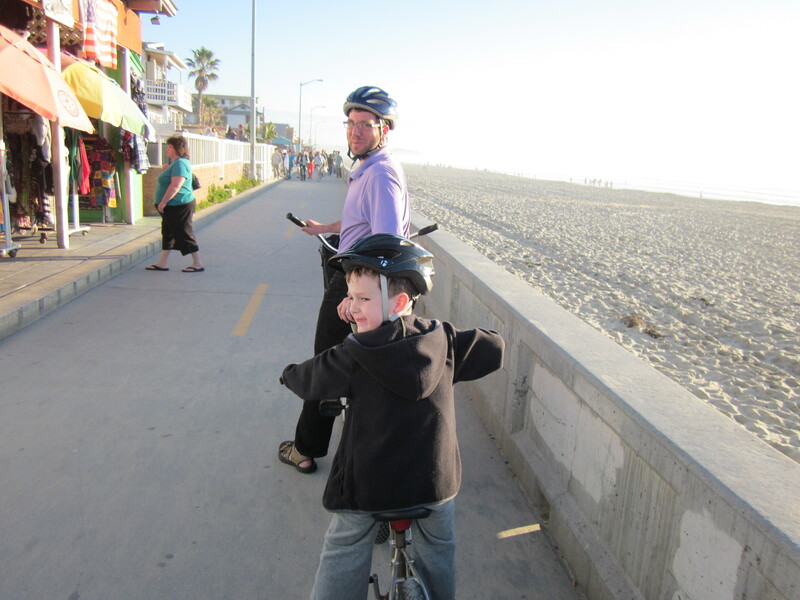 Pacific Beach, Mission Bay, Crown Point, to Ocean beach has terrific Multi Use paths. 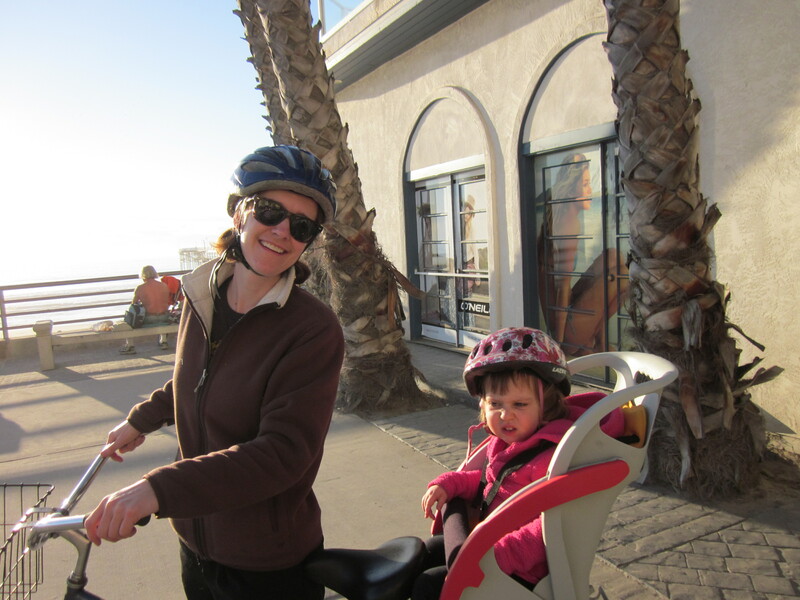 Other parts of San Diego are very hilly but possible for family bike rides. Check out Oceanside harbor next time you visit.